* Tilesets allowed are Ice and Desert. other than that you're free to do w.e you want. Islands, semi islands or ground maps does not matter. There will be a plus if the map is StarEdit only although not neccesary at all, but if you can do the same sollution in StarEdit just as beautiful as You can do with StarForge, prefer StarEdit for this competition. DEADLINE 2005-08-18, That is next thursday! I will personally decide the winner. LINK TO THE SUBMISSIONSPAGE ---> CLICK HERE! The BlizzCon submissions is now officially supposed to be over, although no updates has been made on their page. I hope You all managed to send in the maps You wanted, I believe I did the right choises anyway. And for all those who cares I can also anounce that Me and Empyrean will also be releasing our final submission, "Götterdämmerung", tonight. We believe that map to have great potential and we hope that You will like as much as we do! The BlizzCon submissions deadline is tomorrow at 11.59 PM PST - that is 7.59 CET on thursday morning (GMT+1). Be sure to submit all of your maps before then. Instructions are availiable at http://www.blizzcon.com/maps/register.shtml. 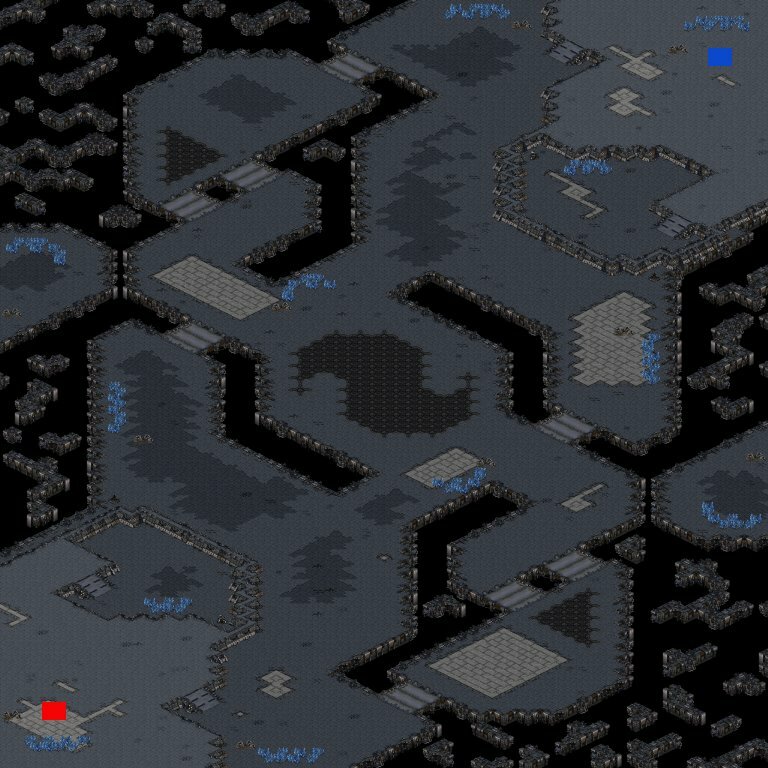 The Map of the week 32, the 4th map to get MotW honors on broodwarmaps.net is Technetium by boongee. The map is pretty classic and simple, but the concept has been used very well by boongee. It reminds me of a two player Blade Storm, a map where nice big battles should take place. This map was originally made for the Team Liquid Mapcontest held by TL.net this previous winter, thus making it the first Map of the Week which has already been published. However we believe it is such a good map that it should be featured here anyway (We are still debating about however we should choose the "best maps" or the "best maps - released the current week). Go to comment page for technetium or download Melee or Obs right here! For MOTW 33 and motw to come, we will use the "mapcontest" script I made today. In the first days of the week you can enter maps to the contest, and afterwards there is a public discussion. I did not make any public poll, because it is too easy to abuse. Yesterday i was surfing around the map database and noticed that Kabumm had uploaded a new replay vs Wasted on Space pirates. Well since i made the map I just had to see it and it turns out to be the most entertaining game ive seen this year! I think this game answers the question about the balance PvT on the map. This is, in my opinion, a must see - specially if you like Space Pirates. I believe it is a great evidence of what this map is capable of!